Many business documents are critical for completion of processes – a signed delivery note is needed for invoicing, a signed bank note for completion of a transaction, a signed agreement for completion of a deal and a signed prescription to acquire serious medicine in a drug store. Such documents need to be taken care of with relevant security. Possio’s new Mobile Scan to Email Service addresses the need to digitalize a paper document on the go and send it securely to pre-defined receivers. These documents are typically sent via traditional mail, courier or fax today but in many cases collected and brought manually to the office. Regardless of method it often adds many days or even weeks to processes. In some cases the documents can’t be read or never even arrives. If and when the paper document arrives it often has to be scanned into a digital document for further processing. Imagine scanning the document when it is signed, sending it safely over the mobile network to a pre-defined receiver with acknowledgement that delivery went fine and in a minute have it delivered to the right person anywhere in the world. The receiver doesn’t have to digitalize the document before next action and due to rich metadata attached to each document they become traceable. One can even use the keyboard for authentication of the person sending the document. Possio Mobile Scan to Email Service is an easy to use cloud based service with scanners attached via mobile networks. A customer is defined in the cloud based server and can add or remove scanners as desired. Each customer decide the functionality of their own private service, i.e. which email addresses should receive documents, if keypads should be used to send documents to different receivers and if authentication should be used. Customers buy the terminals and pay a fixed monthly fee for the service. 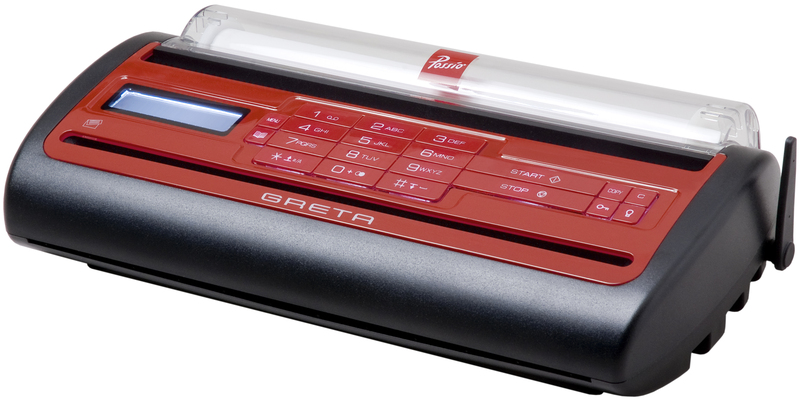 Possio currently offers two terminals: Possio GRETA Mobile Scanner and Printer which is a mobile all-in-one A4-scanner terminal and Possio SVEA GSM Connector which deliver the Mobile Scan to Email Service using any standard G3 fax. Secure Mobile Digitalization can speed up and increase quality of business processes across most industries. Typical applications are “internal mail substitution” and management of delivery documentation. It is generically true that the earlier in the business process a paper document can be digitalized and securely transferred the better. I am personally involved in Possio and believe this is a good example of a generic M2M application meeting real operational needs of businesses around the world. The patent pending technology also enables mobile operators to transition from mobile fax problems to secure mobile digitalization opportunities. It will be interesting to see how the new service is received at M2M+ and M2M Forum in Milan today and tomorrow. I’m here with a delegation from Swedish M2M Service Enablers: Springworks, Maingate, Possio and B3IT.